Many businesses provide employee benefit retirement plans to their employees as an incentive to obtain quality personnel and to provide their staff with the opportunity to save for their retirement years. 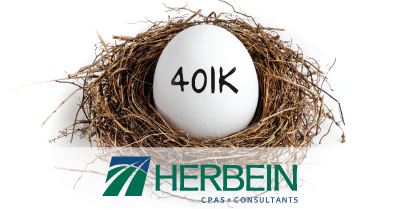 Over the past several years, the rules and regulations regarding employee 401(k) plans have increased and become more complex. There has been in an increase in the enforcement of these regulations by governmental agencies such as the Department of Labor (DOL) and Internal Revenue Service (IRS). Failure by the plan sponsor to follow these regulations can be costly due to penalties and excise tax that may be assessed. There are costs associated from an administrative standpoint to correct these errors as well. Operational errors are errors made in course of carrying out the plan in accordance with the plan document. Each plan document is unique. Below are some of the common operational errors that auditors find most often in 401(k) plans, tips on how to correct errors if they occur, and tips on preventing these errors from occurring. The most common error made by plan sponsors with regard to compensation is the exclusion of certain categories of compensation, categories that should not be excluded based upon the definition noted in the plan document. The errors occur when determining employee deferrals and employer matches for a pay period. For example, suppose a plan document defines compensation as W-2 wages. If a plan sponsor gives employees a bonus paycheck and does not withhold deferrals on that paycheck, an operational error has been made. The categories that are most often improperly excluded are bonus payments, overtime, and vacation pay. 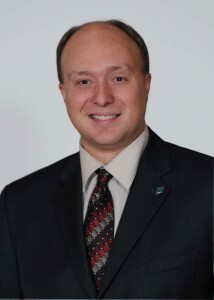 When a plan sponsor fails to withhold on wages that are part of eligible compensation, the plan sponsor should make a corrective contribution equal to 50 percent of the amount that the employee would have deferred in addition to 100 percent of the amount that the plan sponsor would have matched, if applicable. The correction must also include lost earnings, which are calculated from the pay date to the date that the correction has been made. If errors such as these have occurred for prior pay periods, the plan sponsor should correct these errors as well in the same manner. The best way to prevent this type of error from occurring is for the individuals charged with governance of the plan or those handling payroll (plan sponsor, CFO, trustee, payroll manager, committee member, etc.) to read the plan document and be familiar with the definition of compensation. A plan document may utilize a different definition of compensation for employee deferrals than it does for the employer profit sharing or match. Some plans may include bonus payouts, overtime, vacation pay, etc. as part of eligible compensation, while other plan documents may include or exclude certain types of wages from eligible compensation. A plan document may also allow for employees to make a separate election to withhold or not withhold on bonus pay. Again, it is vitally important to be familiar with the plan document. The fidelity bond helps to protect the plan and its participants against dishonesty or fraud by the bonded trustee(s) and/or fiduciary(s). If the plan does not have a fidelity bond, or if the amount of the bond coverage is inadequate, there may be substantial penalties and fines that can be assessed. If the bond is found inadequate, the plan sponsor may be liable for paying losses incurred by the plan. These fines and penalties for not being in compliance with ERISA may not be paid using plan funds. In order to avoid having inadequate fidelity bond coverage, the plan sponsor should review their coverage annually to ensure it meets the two requirements listed above. In a period of growth for a plan (either by contribution or by investment income), it is prudent to periodically check coverage more often than once per year. A common error found in many 401(k) plans is with regard to the treatment of forfeitures. Depending on the vesting schedule of the plan, forfeitures are generated due to the termination of employees who are not fully vested in their employer contributions. Note: employee deferrals are generally not subject to vesting. Plan documents vary from plan to plan on how the forfeitures may be allocated. Some plans may allow forfeitures to reduce future employer contributions, pay plan expenses, or be allocated as an additional contribution to eligible participants, among others. The allocation of forfeited amounts must occur annually in order to be in compliant with the IRS. The forfeiture account may not accumulate and remain unallocated in the plan from year to year. Additionally, the balance in the forfeiture account must be reduced to zero at least once during the plan year (the balance does not have to be zero at the plan year end). If the forfeiture account has accumulated from prior plan years, seek assistance from your third party administrator (TPA) when performing an allocation of forfeitures. In some cases where the forfeitures were to be applied to participants, amounts may be owed to participants that have since been terminated and are no longer a plan participant. Familiarity with the plan document, and an understanding of the proper allocation of forfeitures, is critical to ensure compliance and prevent forfeitures from accumulating more than a one year period. This article focused on common operational errors made in 401(k) plans. There are also errors that are classified as prohibited transactions that plan sponsors need to be aware of. An example of a prohibited transaction would be employee deferrals remitted late to the plan. This, and other prohibited transactions, will be the topic of Herbein + Company's next employee- benefit-plan-focused article. Stay tuned! For additional information regarding this article please contact either Matthew A. Flamisch at maflamisch@herbein.com or Carolyn M. BryNildsen at cmbrynildsen@herbein.com.